The B&B Team has years of experience in working with prospective buyers. We recognize features buyers are searching for and work with them to match their wants and expectations. Here are 5 features that often top the list. All these 5 boxes can be checked off for the Wooden Duck Bed & Breakfast. A secluded Mid-Atlantic country estate bed & breakfast for sale. 1. Financially Viable means inns and B&B’s that generate enough income to cover operating expenses, debt service (mortgage), and owner’s compensation. The Wooden Duck has strong financials. Our valuation supports the price and represents a price that an informed buyer and lender will understand. 2. The destination tourism location of the Wooden Duck is ideal. A macro-location. Located near a major metropolitan area from which to pull guests. New York City and Philadelphia. Perfect! And the surrounding area has enough attractions to draw people. A wonderful quiet retreat getaway from city life. Read about all there is to do in all four seasons in the Sussex Country Skylands Region. 3. Good condition that includes the beautiful house with 7 guest rooms, adjacent carriage house with 3 guest rooms, gardens, patios and swimming pool. The property is surrounded by 10 acres of picturesque natural woods. All well maintained and in excellent condition. 4. Expanded owner’s quarters. 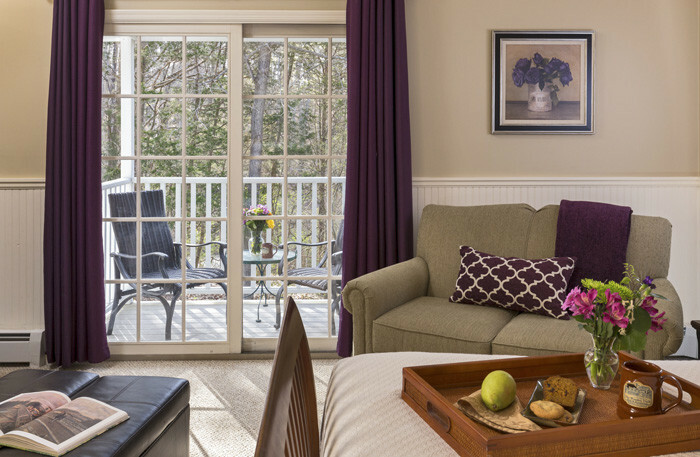 A lovely retreat getaway for the innkeepers! Includes a spacious living space with private office. A large master bedroom with spa quality luxury bathroom. 5. Acreage. The 10 acres surrounding the property offer guests the peace and quiet a vacation getaway requires. In searching for your ‘picture perfect’ Inn there are often disappointments and un matched expectations. The B&B Team can help you avoid those disappointments. First you have to realize there is no perfect!… but there are properties that come close to it! The Wooden Duck Bed & Breakfast is one that is sure not to disappoint and come very close to perfect! The B&B Team loves to help prospective buyers find their ‘almost perfect’ Inn. Give us a call. This entry was posted on Thursday, March 21st, 2019 at 11:56 am	and is filed under Better Way to Buy and Inn. You can follow any responses to this entry through the RSS 2.0 feed. You can leave a response, or trackback from your own site.